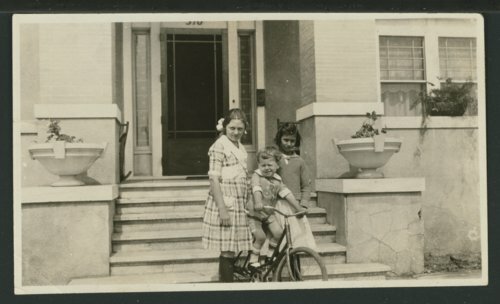 This photograph shows Genneve Larrabee, right, and Ben Larrabee (center) learning to ride a bike. The young woman on the left is not identified. The photograph was taken at the Larrabee home in Liberal, Kansas.